We all love to discover new places and learn about other cultures, but we often forget the valuable experiences that go far beyond sightseeing. At Studiainitalia, together with our partners at Italian Special Occasions DMC, we believe that the best way to experience a destination is to get to know the history and the ancient craftsmanship of the artisans in the area. That’s why we created the Creative Italy platform! 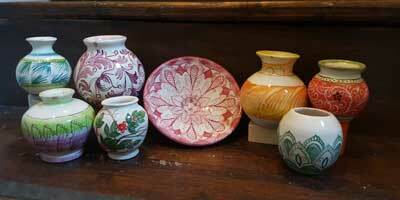 Not only does Creative Italy help travelers to discover the incredible history and the people behind the most beautiful handmade objects, it also helps to preserve ancient traditions and support artisans. An artisan is like a gatekeeper for the values, the traditions and the skills of their people. This is something that deserves to be given as much value as possible, and Creative Italy wants to bridge the gap between the “artigiani” and those who want to learn about their trade as a hobby or for their own profession. If you are yourself an artisan and would like to expand your knowledge and learn new techniques, or if you are an aspiring craftsperson, there is no better country than Italy where to attend a professional course. You will be learning directly with the masters behind the famous “Made in Italy” guarantee of beauty and quality. 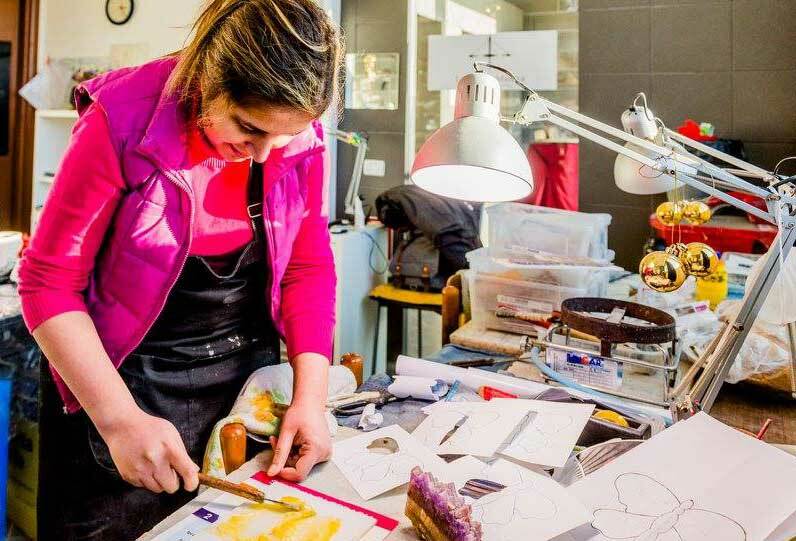 We are happy to have many testimonials of students who, following a crafts course with Studiainitalia, opened their own workshop abroad or in Italy. Learning how an artisan creates an object is an experience that goes beyond simple knowledge: the process is soul enriching and full of spiritual power. Society is stuck in a loop of consumerism and we have lost touch with our creativity and craftsmanship. If you want to enjoy an authentic, meaningful vacation in Italy by doing more than marvel at sights, choose one of the selected experiences by Creative Italy: you will have the chance to unleash your creativity, meet artisans and come up with your own creations under their expert guidance. Intrigued? Check out https://creative-italy.com/ to find your genuine experience in Italy! Are you planning a last-minute summer trip to Italy? Or are you currently in the Bel Paese and looking for inspiration on how to make the most out of this beautiful season? There are thousands of great events for you to attend; delicious dishes for you to taste at a restaurant or to cook at home; and fun and interesting courses that you can join as a creative tourist to enjoy your hobby or to improve your professional skills. Here are some of our highlights. Music lovers cannot miss the classical festivals held in Rome, Verona and Ravello. 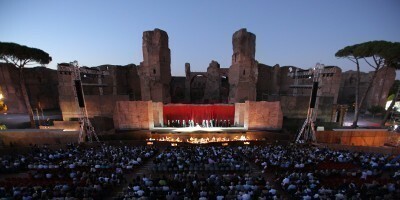 The Caracalla Summer Festival is unique: it is hosted by the Teatro dell’Opera di Roma and takes place in the ancient ruins of Terme di Caracalla (Roman baths). The Arena Opera Festival is held in the Arena di Verona, one of the most prestigious Italian concert halls. Ravello Festival is simply spectacular, with concerts throughout the summer in the Amafi Coast’s Annunziata Historic Building. Historic events that thrill thousands of locals and tourists every year include the Palio in Siena and the Festa del Redentore in Venice. The former takes place twice a year, on 2 July and on 16 August. In addition to the famous horse race, there are plenty of other attractions including costume parades, flag exhibitions and music. The Festa del Redentore takes place every year on the third Sunday of July. It features spectacular fireworks, thousands of illuminated boats decorated with flowers and balloons, and the Regatta of the Redeemer. The table of an Italian family looks particularly bright and colorful during summer! 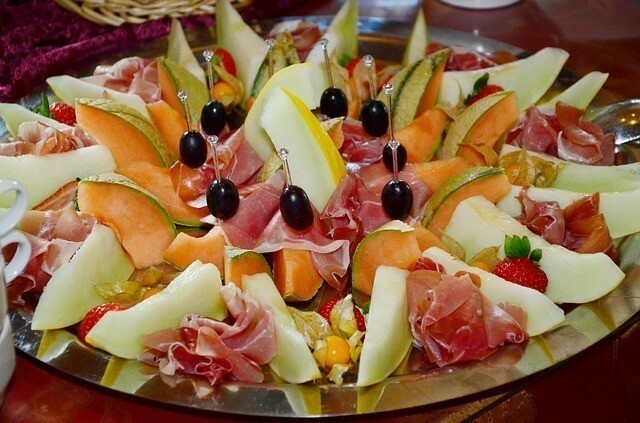 One of the simplest and most delicious seasonal dishes is Melone e Prosciutto (ham-wrapped melon slices), usually served as an aperitivo. The Caponata is a Sicilian stew that unites the vegetables that are at their best in summer, including chopped fried eggplant, celery and capers seasoned with sweetened tomato and vinegar sauce. And of course, the patriotic Caprese salad mixes high-quality mozzarella, local tomatoes and fresh basil, drizzled with extra virgin olive oil and balsamic vinegar. Many travelers combine leisure with education, visiting Italy to discover its beauty, history and cuisine, but also to learn Italian or a craft that is part of local heritage. We have asked two of our summer students to share their Italian course experience with Studiainitalia. Juliana from the USA just completed an Italian Course in Salerno. My time in Salerno has been wonderful. I stayed here for three weeks! My teacher, the accommodation, and Studiainitalia have been wonderful. The classes have been so helpful in improving my Italian, and I have learned a great deal in a short amount of time. The school offered wonderful excursions as well. I would absolutely recommend this program and school to anyone who wants to improve their Italian (or begin to learn) and travel around the beautiful cities in Italia! Katie from Australia is attending our Leatherwork Course in Florence. 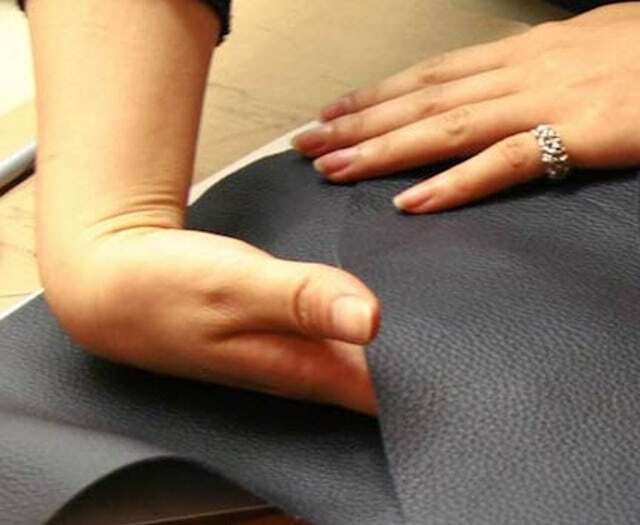 Alicia is a very good teacher she is very thorough and pedantic for detail and making the perfect bag. She is patient and holds your hand through the whole process and towards the end of the program I am now feeling confident in my ability. She is also very flexible and happy to meet my customized needs. I would choose Alicia time and time again as my teacher. You can see more testimonials and updates on our Facebook Group “Studiainitalia People”, join here! If you are interested in Creative Tourism, take your time to browse through our courses in Italy and please contact us if you have any questions or need more information. Italians are known for being quite superstitious. 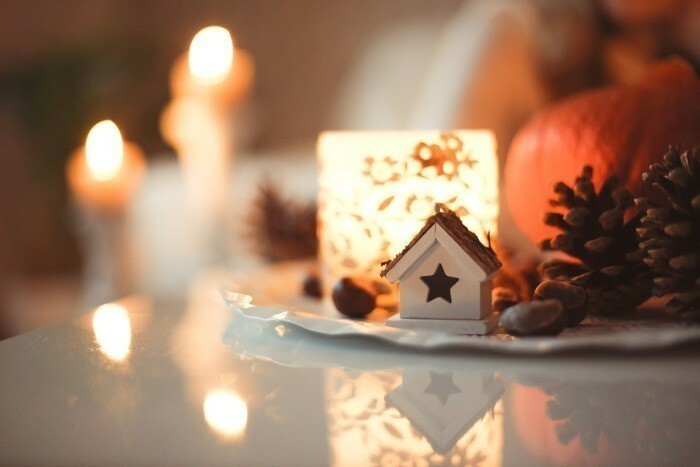 The night of San Silvestro (New Year’s Eve) offers the perfect occasion to perform some traditional rites that are meant to bring about good fortune. Eating lentils at midnight brings good luck. This custom has different origins. According to some, these legumes symbolize longevity because they are long-lasting. For others, lentils are a symbol of prosperity because they resemble ancient gold coins. 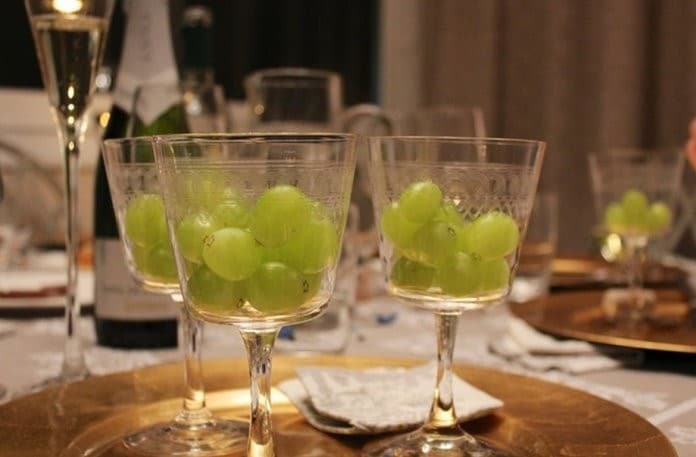 Another thing you should do when midnight strikes, is to eat 12 grapes or 12 raisins (one for each month of the new year), to bring you luck. If you are accompanied by your partner, share a pomegranate on the night of San Silvestro, because this fruit symbolizes loyalty and fertility. On New Year’s Eve, you’re supposed to wear something red (usually underwear) because this will fend off negativity and will help you with happiness and love. The origins of this tradition are unclear, but some believe that it dates back to the ancient Romans, who would use red clothes to fend off war and blood. But for this superstition to work, your red underwear must be new and a gift from someone else. If you buy your own or wear some old red lingerie, you are cheating! This custom is still alive in different parts of Italy, including large cities like Naples and Rome. At midnight, some Italians throw out the window old things (usually crockery). This ritual symbolizes that you let go of what is useless and that you get rid of evil (physical and moral) accumulated during the year, to make room for a fresh start. Although this is something that is mostly done on Christmas day, repeating the kiss on New Year’s Eve won’t do any harm. The mistletoe is a symbol of protection and love, so the kiss is meant to drive away evil spirits and help a couple. The ancient pagan origins can be traced back to the Druids, and this tradition is present in other countries too. 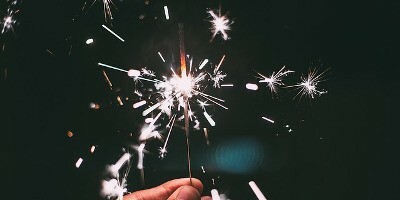 Curious to know if the new year will be mostly positive or so-so? One of the most ancient customs in Italy is to observe the first person that you meet on the street on Capodanno (New Year’s Day). If it is an old person or (even better) a hunchback, the new year will be full of great surprises. If you meet a baby, a priest or a doctor – according to tradition there might be some bad luck around the corner. The reasons behind this superstition are not clear. What traditions or superstitions do you have in your country? Have we missed any Italian facts that you would like to add? Comment below.